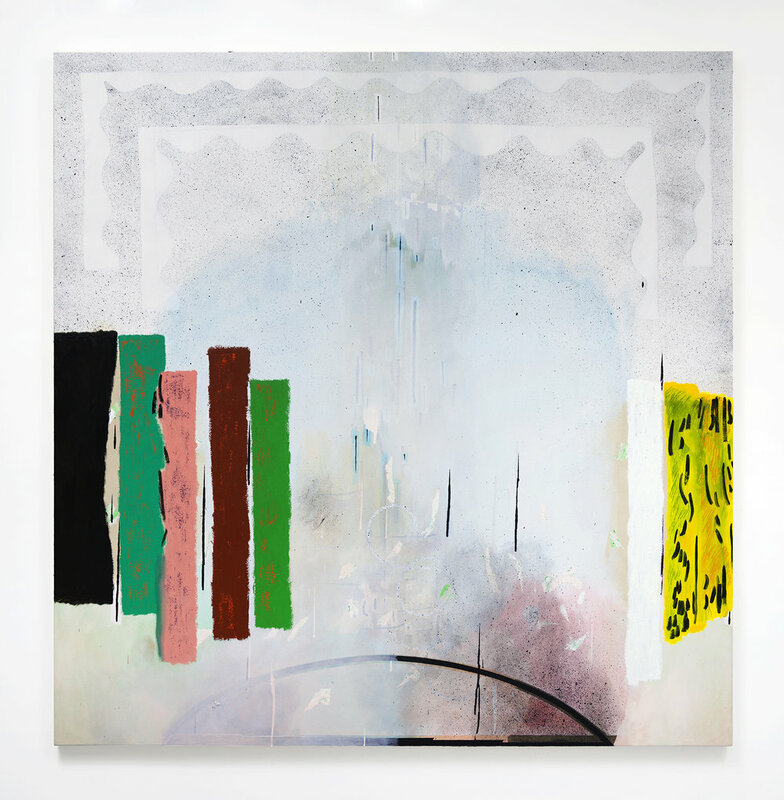 The Pit is pleased to announce Screen Jaw Door Arch Prism Corner Bed, a solo exhibition of new paintings by Los Angeles based artist Allison Miller. This is Miller’s first exhibition with The Pit and will inhabit both gallery spaces. The exhibition includes her largest work to date: a diptych filling the entire back wall of our second space, The Pit II. All of the works in the exhibition are the most recent developments in Miller’s on-going dialog with and within the parameters of painting, incorporating the ideas of improvisation and cancellation which have been an evolving part of her work over the ten plus years it has been exhibited. The exhibition will open on Sunday, November 13 from 4-7pm and will remain on view through December 31, 2016. Screen Jaw Door Arch Prism Corner Bed is a list of the blunt titles of the works in this exhibition, everyday words that sit like lead cherries on top of the melting ooze of a sundae that is each painting. Systems, both graphic and gestural, are incrementally piled onto each canvas — along with all of the elaborations, mutations and reversals that these layers prompt. Redaction and erasure are integral to this process since each work is approached as a zone where time can be sped up, slowed down or rewound in order to contort the painting into a behavior that is unfamiliar and constantly shifting. Taped lines, drips and scrapes, transparent washes and opaque chunks of color trade roles in this push towards permanent mutability. Heightened by the constraint of the canvas itself, it is in this paradoxical state that Miller’s paintings hover — both proposals for and the ultimate, complete versions of, themselves. Allison Miller (b. Evanston, IL) lives and works in Los Angeles. Her paintings have been the subject of solo exhibitions at Susan Inglett NYC, The Finley LA, ACME. LA. Group exhibitions include Made in LA 2012 at the Hammer Museum, and at the Bregenzer Kunstverein, Austria, the Orange County Museum of Art, The Pit, GAVLAK LA, The Pizzuti Collection, Ameringer/McEnery/Yohe, among others.